BHA’s annual panto trip returns to Hackney Empire on Friday 7th December at 7:00pm to see their production of Aladdin! Instead of costing £28.50, BHA are delighted to offer discounted tickets to residents at just £10 each! In order to secure your ticket, please contact us to make a payment for your ticket. You can do this by attending our office at Cloudesley Street or paying on our website. There are a limited amount of tickets available. Please secure yours by purchasing your ticket as soon as you can. For more information about this trip contact Dean (dean@barnsbury.org). Hackney Empire is a very close bus trip from all BHA homes. If you require help and advice with this trip to Hackney Empire please contact us. 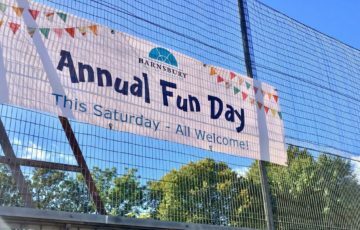 Find out about Barnsbury Housing Association's upcoming events!